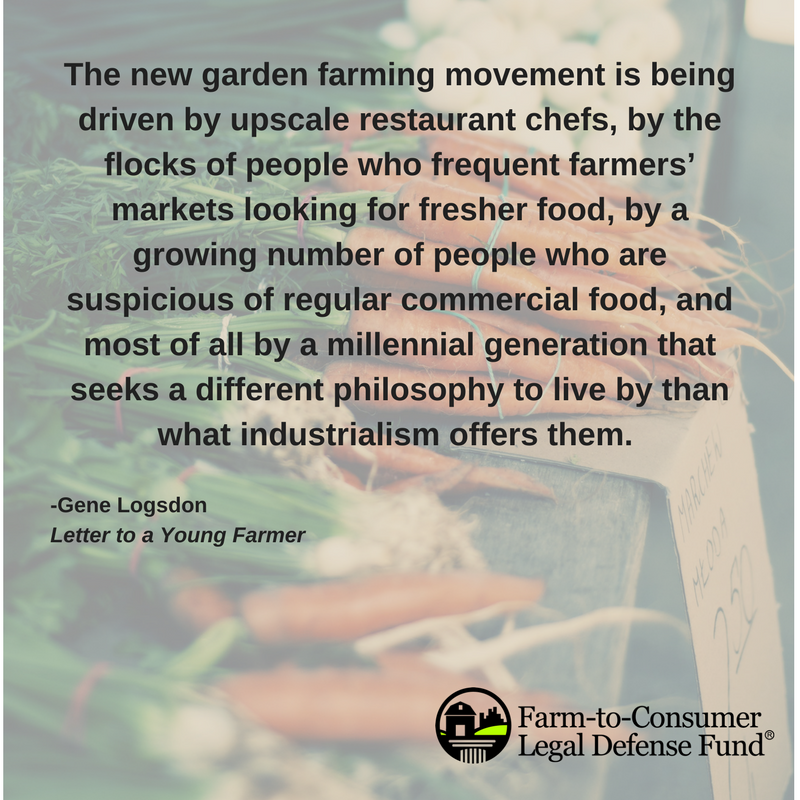 In February’s book club, we featured Letter to a Young Farmer: How to Live Richly without Wealth on the New Garden Farm by Gene Logsdon. 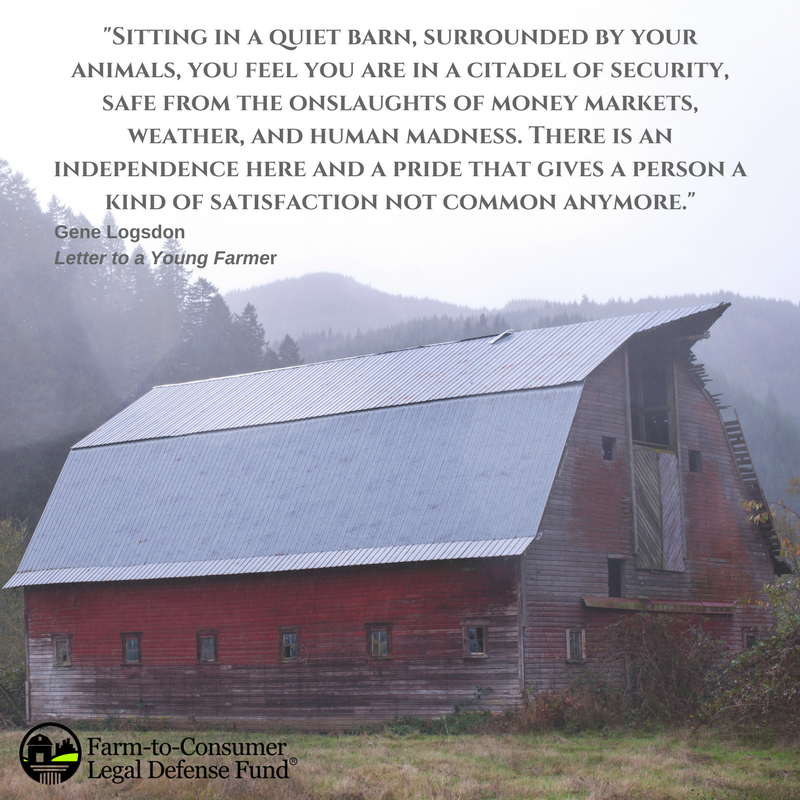 Letter to a Young Farmer was Gene’s final collection of essays before his death in 2016. Gene described himself as a “contrary farmer” and throughout his life wrote several books and essays on American agriculture. 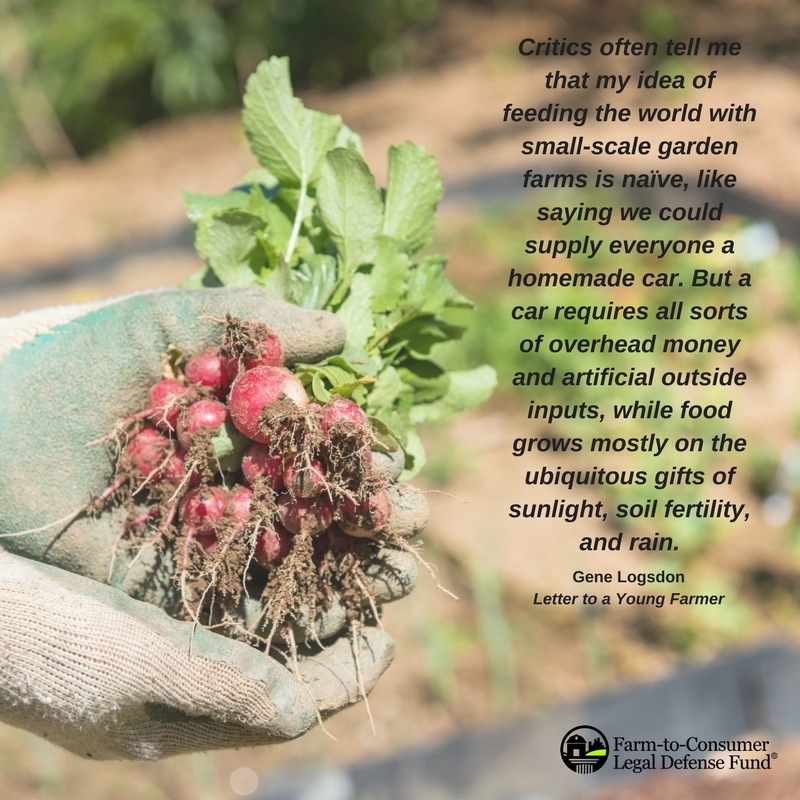 Penning nearly 30 books, Gene’s work has also been included in Mother Jones, Orion, Organic Gardening, the Wall Street Journal, the Progressor Times, Farming Magazine, The Draft Horse Journal and Ohio Magazine. Gene was a lifelong farmer, and his entire family consisted of farmers. Gene revered the small farm, and throughout his life managed 30 acres with his wife, Carol, in Upper Sandusky, Ohio. In his last book, Gene speaks to the next generation of young people who are showing an interest in moving back to the land. Gene provides wisdom, advice, humor, inspiration and incredibly valuable perspectives on living a rural lifestyle, farming and how to work smarter, not harder. Below are some of our favorite passages from Gene’s work. Disclosure: Please note that the above link is an affiliate link. 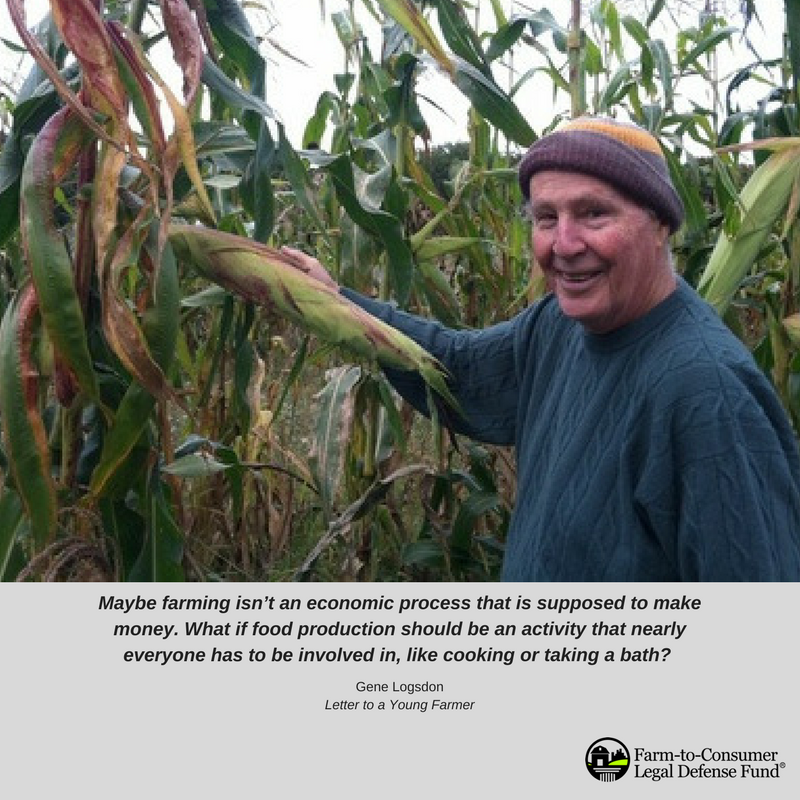 At no additional cost to you, Farm-to-Consumer Legal Defense Fund will earn a small commission if you make a purchase via the above link. Anyone wanting to make a contribution to support the work of FTCLDF can make a donation or find out more info HERE.